WE ARE GROWERS OF BAMBOO PLANTS FOR LANDSCAPING, PRIVACY SCREENS, HEDGES, WINDBREAKS, SHOOTS, TIMBER, MULCH, SOIL STABILISATION AND EROSION CONTROL. Bamboo is a useful ornamental plant. The best ornamentals are. Welcome to the BAMBOO WHOLESALE nursery web site. Here you will find information about bamboo, including bamboo descriptions and photos and more photos of our major non-invasive bamboo varieties, and about bamboo for gardens, landscaping and plantations. 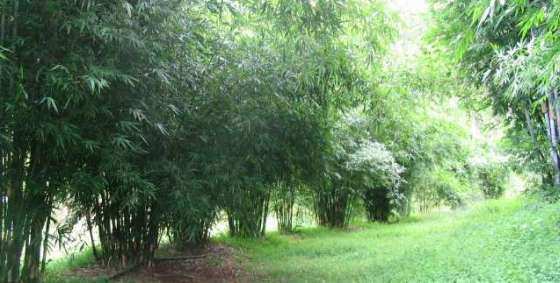 From our bamboo nursery near Kempsey, Australia, you can buy bamboo plants to grow as screens, and as ornamental plants; bamboo for timber poles and edible bamboo shoot production; soil and slope stabilisation; bamboo for groves, hedges and windbreaks. The selection from our nursery includes large and small bamboo varieties suitable for city, suburban and rural landscapes; small, advanced and bare-rooted plants; colourful and foliage plants; all at best prices. We are specialist bamboo growers, and useful ornamental clumping bamboo species are our speciality!